Entschuldigung! I haven’t been keeping up to date here. My past week and a half has been very busy, and combined with limited internet access, I’ve been unable to post. While I’m working on bringing my blog up to date, I’ll leave you with one of my favorite finds so far. 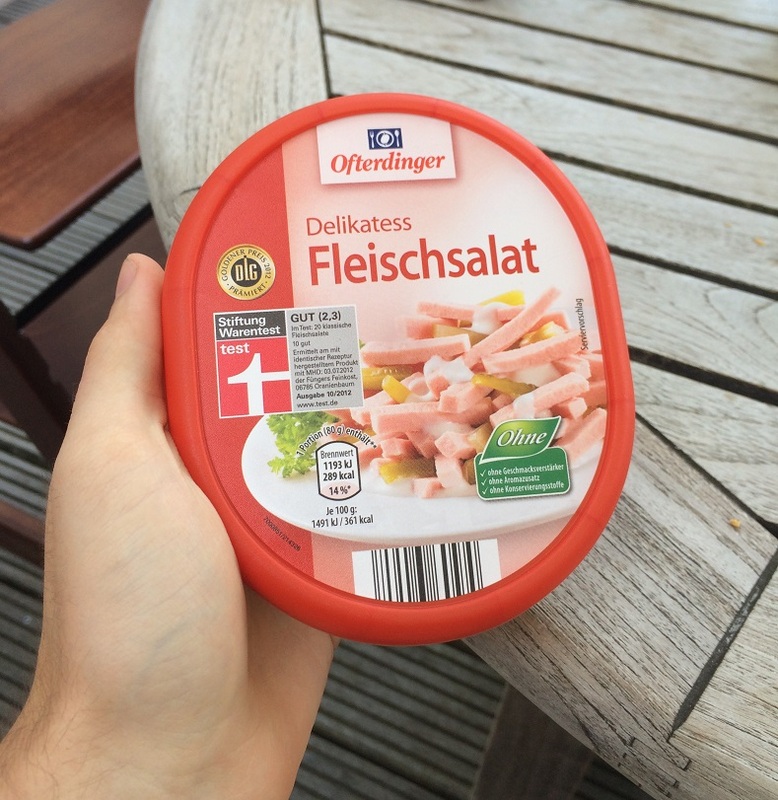 Fleisch = Meat (“flesh”) & Salat = Salad. In true German tradition, smashing words together combining words to form a new one has resulted in an interesting outcome. This common breakfast food literally translates to “Flesh Salad”. Mmmmm, appetizing! Imagery of human proscuitto comes to mind.